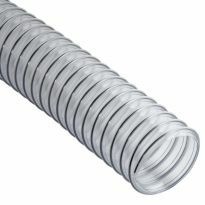 Lets you combine our Heavy-Duty Shop Vacuum Hoses (sold separately) to create longer hose lengths. 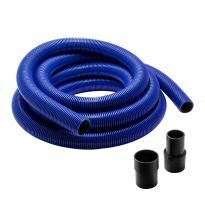 This connector allows you to combine our popular Heavy-Duty Shop Vacuum Hoses (sold separately) to create longer hose lengths. 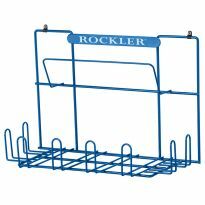 With the right combination, you can reach the far corners of your shop, and still be able to separate the hoses for storage or for use in another area of your shop. 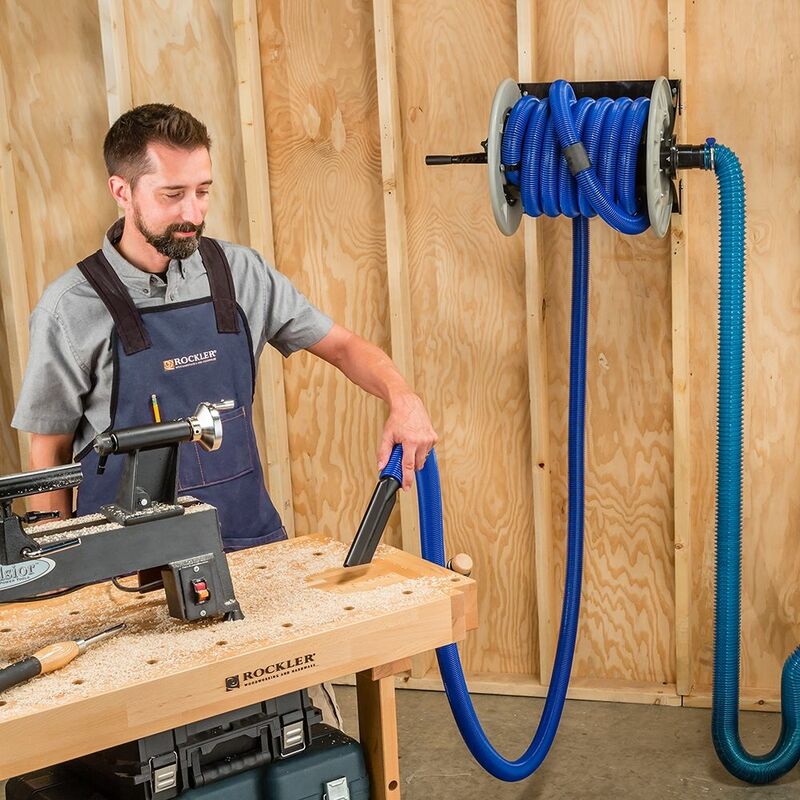 It's a great option for customers who already own a shorter version of our hose. 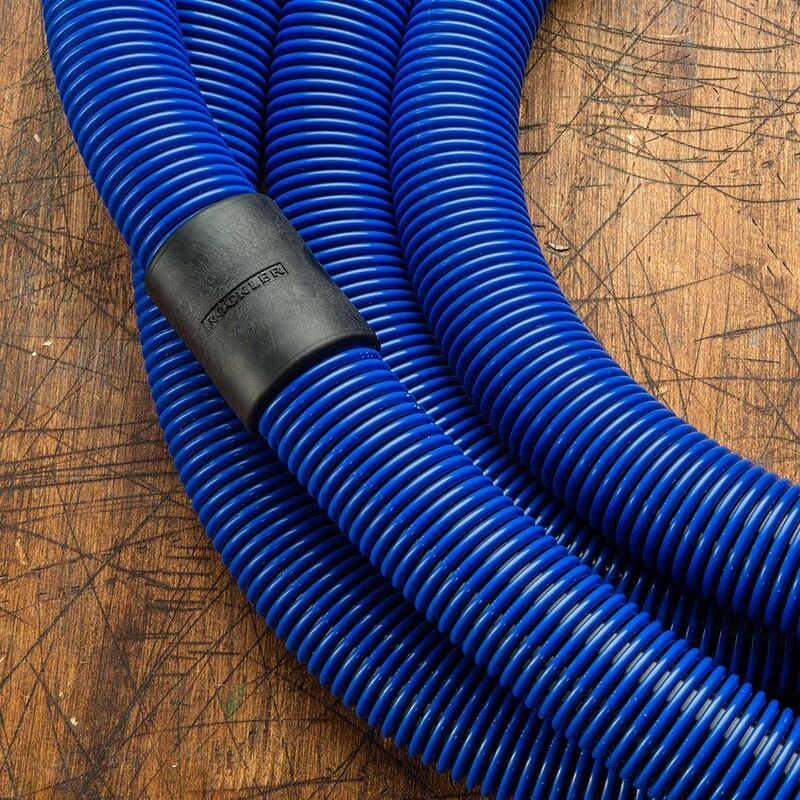 Customers who own our original 12' length can add a 20' length (#58350, sold separately) to get a 32' hose. Those who own our 20' hose can add an additional 20' to create a 40' hose. 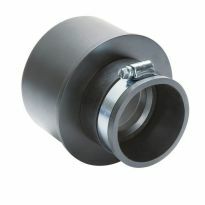 The coupler features threaded connections for a tight seal. 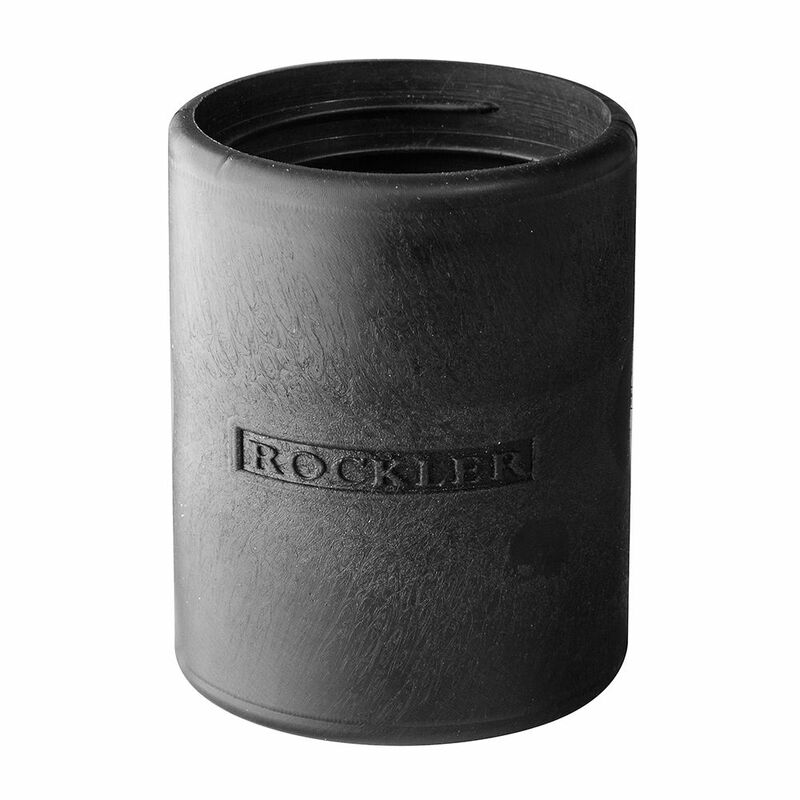 We do not recommend a total hose length longer than 40', since it will result in excessive loss of suction. I have a Shop Vac wall vac in the garage. In order to reach the corners of the garageI had to purchase another 15 feet of hose. Finding the right connector was very difficult. The Shop Vac connector required me to duct tape the hose ends to build them up enough so their connector would work. The connection continually pulled apart. 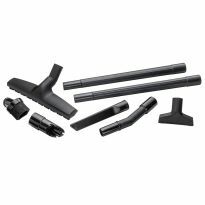 (BTW, Shop Vac only had one connector) SOLUTION? The Rockler connector. Fits great, solid, and no more duct tape. 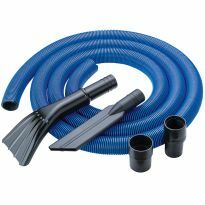 I ordered this along with the hose. The hose is pretty much as I thought it to be but the coupler is much too small to fit the hose. It appears to be for the smaller 1 1/2 inch hose for the hand held tools. Can't use it and don't feel it is worth sending back. 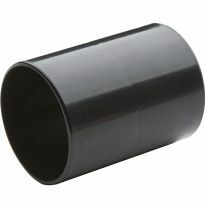 There is no way it is any where close to 2" diam.. Does not work as addverized on 1-1/2 vacuum hose. Required to couple two hoses together. 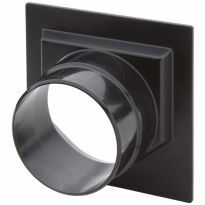 Right now, I'm using a plumbing coupler with band clamps; I'd like to eliminate the clamps that sometimes snag when I'm rolling up the vacuum hose. because the hoses you all sell have two male ends - kind of like buying an extension cord with two male ends. 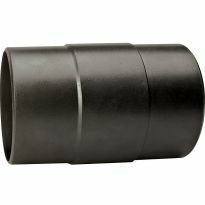 what size hose is this coupler for? 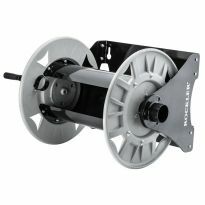 Will the hose from the small port kit attach to this coupler?